Is your washing machine acting up? Maybe you can’t get the machine to drain after a wash cycle, or maybe there is a leak somewhere in the system. 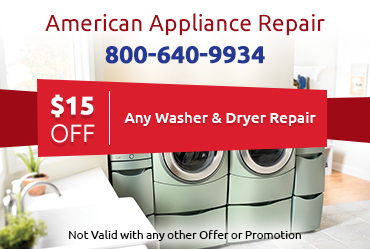 Stop guessing and start making progress on your washing machine repair in Monrovia CA by calling American Appliance Repair for help. Whether you have a brand new model with all the latest high tech features or an old, simple model from an off brand, our skilled and experienced technicians can provide the repairs you need. We Provide Same Day Repairs: If your washing machine breaks down just when you most need to do laundry, you may find yourself in quite a predicament. 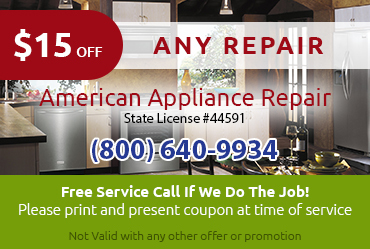 Fortunately, American Appliance Repair can help you the same day you call. We carry plenty of replacement parts on our vehicles to we can provide same day washing machine repair in Monrovia CA. We Use Quality Parts: It is impossible to provide a quality washing machine repair in Monrovia CA using inferior quality parts. At American Appliance Repair, we stock factory authorized parts for all kinds of washing machines. 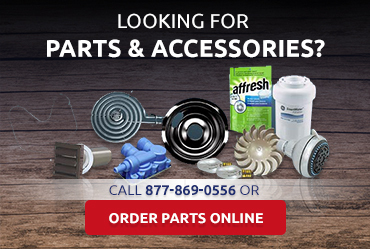 Using these parts for repairs delivers the best possible performance and reliability. We Offer Fair Upfront Pricing: We want to keep our clients in the loop regarding the work we’re doing on their machines. That’s why we never start a washing machine repair in Monrovia CA before providing a detailed explanation of the problem and an estimate for the work. 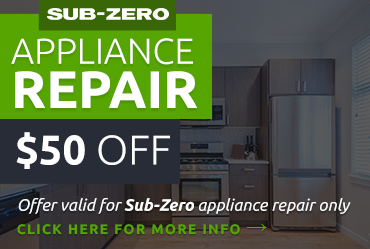 Our technicians work quickly but carefully to help keep repair costs affordable.